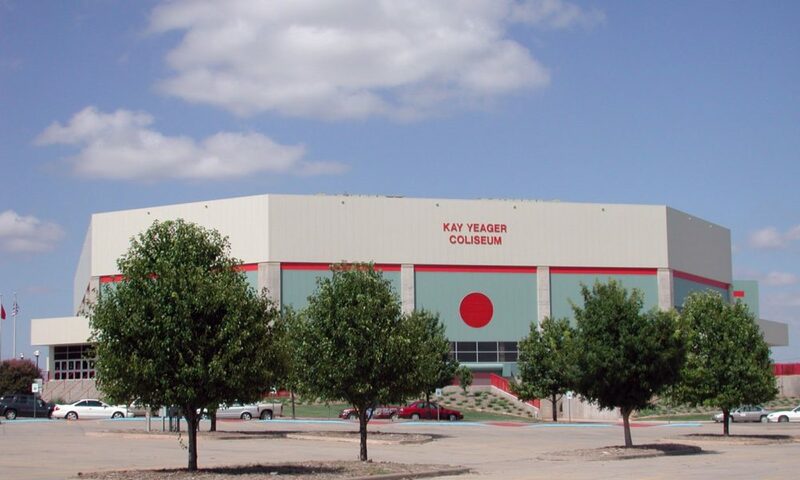 The second phase of the Multi-Purpose Events Center project was the Ray Clymer Exhibit Hall completed in 1996. 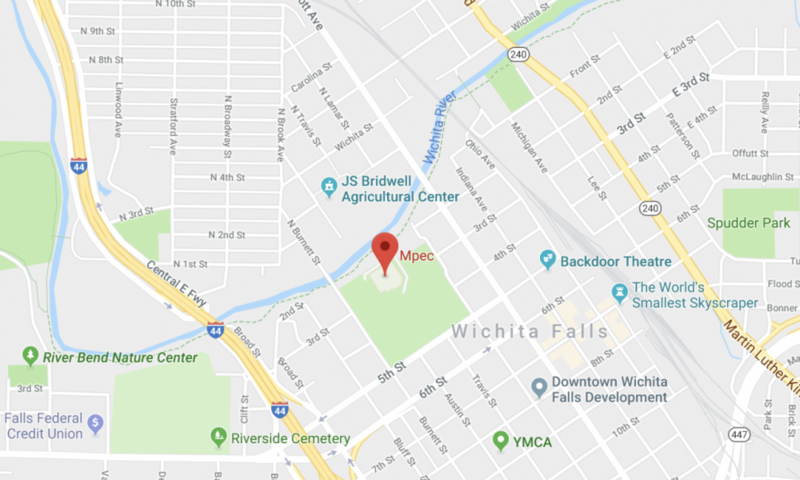 This 58,000 square foot meeting space is located on the south side of the Wichita River and connects to the J.S. Bridwell Agricultural Center by a pedestrian bridge. The two main Exhibit Halls offer a great venue for trade shows, conventions or large banquets. In addition, the building features 10 breakout rooms that can host meetings, seminars and receptions, as well as a 216-seat seminar room. Through the years, the Ray Clymer Exhibit Hall has been home to annual events like the Home & Garden Show, the Hotter ‘N Hell 100 Consumer Show, Christmas Magic plus conventions and conferences with up to 2,000 delegates. 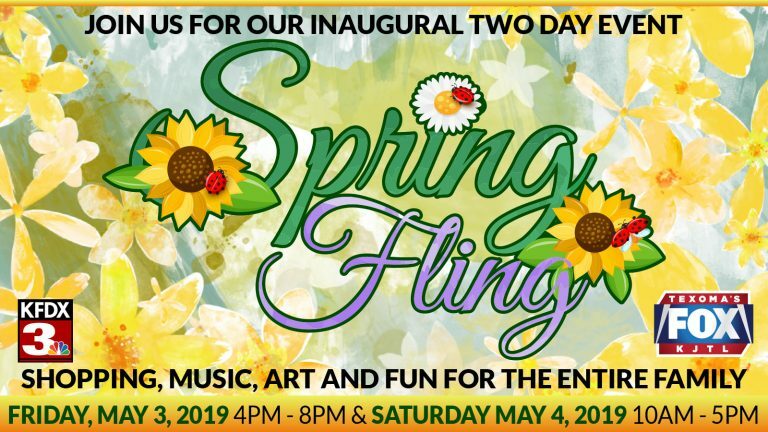 Spring Fling is a new two-day event hosted by KFDX and Texoma's FOX that will have lots of shopping, music, art and fun for the entire family. Live tattooing all weekend by over 100 award-winning tattoo artists! 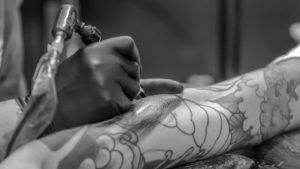 We will have artists to help you with the style of tattoo you’ve been looking for. All different styles from realistic to traditional or black and grey to color. We’ll have the artists that are right for you! Three full days of tattoos, piercings, temporary tattoos, airbrush tattoos, and delicious food. 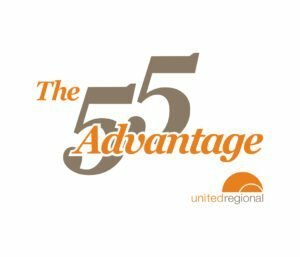 55 Advantage is a program for health conscious seniors. Program membership is free. We provide programs on a variety of health topics of interest to seniors. Lunch and dinner is provided for a nominal fee of $4.00 per person. Throughout the year, health screenings are also provided to the members. https://www.youtube.com/watch?v=Yhh69O5D5M8 To join 55 Advantage or for additional information, contact Karen at 940-764-7933 or open and print the attachment, complete the form and mail to the address found on the application. © 2019 Wichita Falls MPEC, All Rights Reserved.